And then he will kill him. Dalitan is one of two surviving members of his family. But he is like no other just like his father and mother were like no other. He is a Guardian, one of a long line of Guardians. But his parents are dead, his brother is missing and he has been captured by Skolis. Skolis, the killer. Skolis, the enemy. Can he escape? He must for he has to save the world from Skolis. 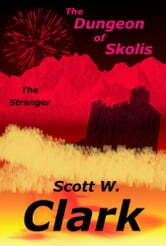 This is a prequel to The Stranger.